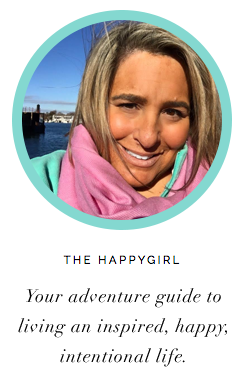 the happygirl: what if you could ask Martha Stewart one question? what if you could ask Martha Stewart one question? She is one the world's most innovative entrepreneurs. She's also an American icon who established a media empire. 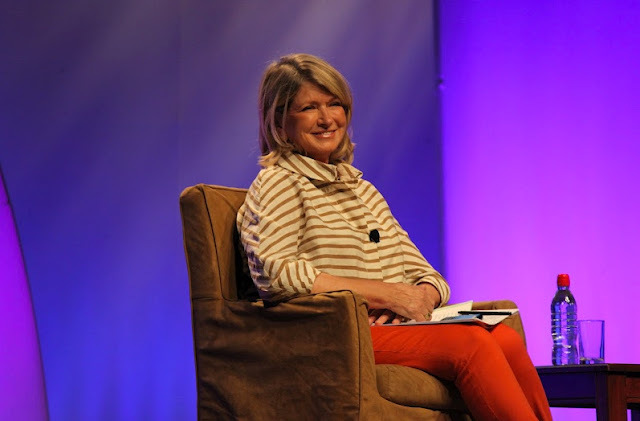 So when BlogHer, the world's leading network for women bloggers invited writers to submit questions for Martha Stewart for her Keynote at the BlogHer convention (NYC, August 2-4) there is only one response. Yes, yes, here is my question. What is your favorite drink/appetizer combination at a party? What was the moment like when you held your grandchild for the first time? Where is your favorite beach and why? What is a cool, unique anniversary gift for my husband? I wondered then "If she were to answer my question in front of the 5000 attendees at the BlogHer 2012 Conference, what is something we would all want to know?" 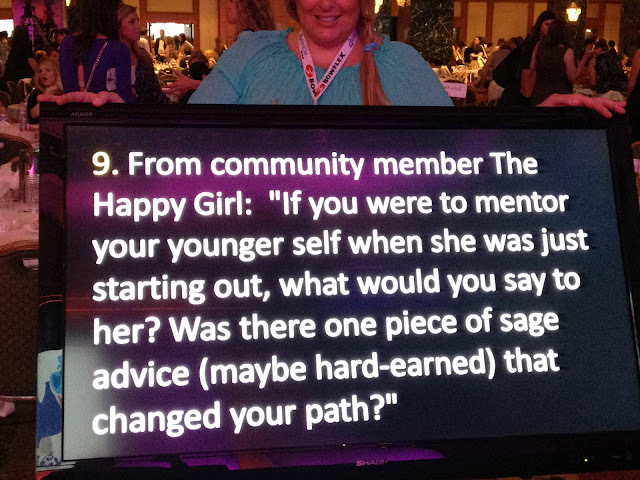 I submitted my question to BlogHer and forgot about it until the conference. For the Keynote I was sitting at a table in the Hilton ballroom along with several thousand extraordinary women (and men) listening rapt as Elisa Camahort Page, (co-founder of BlogHer and moderator of the event) interviewed Martha Stewart who was at the same time witty, clever, honest and self-depracating. Martha was a hit with the audience especially as she discussed her early adoption of social media including blogging, Twitter and the iPad apps for Martha Stewart Living Magazines. We loved her openness, her business acumen, even her fantastic orange espadrilles. It was an inspiring keynote even without what happened next. Our table was just offstage and within eyeline of the teleprompter which is where I saw it. This. My question. (It's about) giving confidence to young people in your life, encouraging them to follow their talents and follow their abilities. There are so many things people can do. Encourage it. Encouragement is the best. Sure, it was cool to have Martha Stewart answer my question but it wasn't until I called my husband to tell him about it that he made a good point. When my role as Celebrity Events Host was eliminated at Microsoft (May, 2009) my self-confidence took a massive hit. I thought my skill sets as a reporter must seriously be called into question and I thought my career as a journalist was over. However, L. said "This is amazing, babe. Of all the questions Elisa could have chosen, she chose yours. Nice job." I admit at that moment I started to tear up. My instincts as a journalist never left. They were there all along. So, Elisa and Martha, maybe you thought you were just answering a girl's question but in fact you helped me remember that self-confidence doesn't come from someone else. It's really what you believe about yourself. It's a good thing. Take a peek at Martha Stewart's new promo for her upcoming series Martha Stewart's Cooking School coming soon on PBS.